A fabulous piece of history, an amazing bit of technology, a beautiful piece of furniture, and a fine instrument, as well as fun music and a little exercise all rolled into one! This piano has original ivory key tops, and a beautiful walnut finish, but that's just where the fun begins! Under the hood is a fine-functioning self-player mechanism, operated by hide-away foot pumps, which allow the pedaler to enjoy music without actually touching the keys! 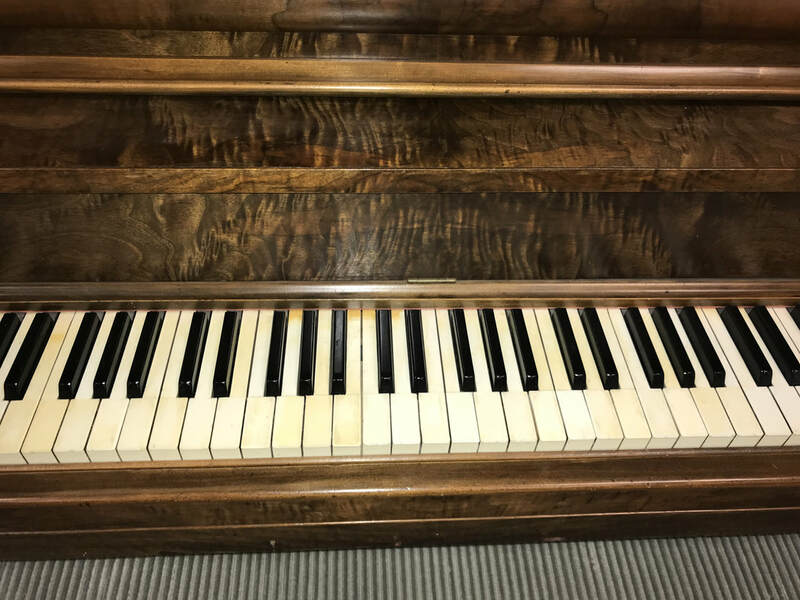 This piano is still in excellent condition after 90 years, comes with a great bench and plenty of piano rolls to keep the kids - both young and old - amused for hours! And it's a good piano, too! Come in and give it a spin!